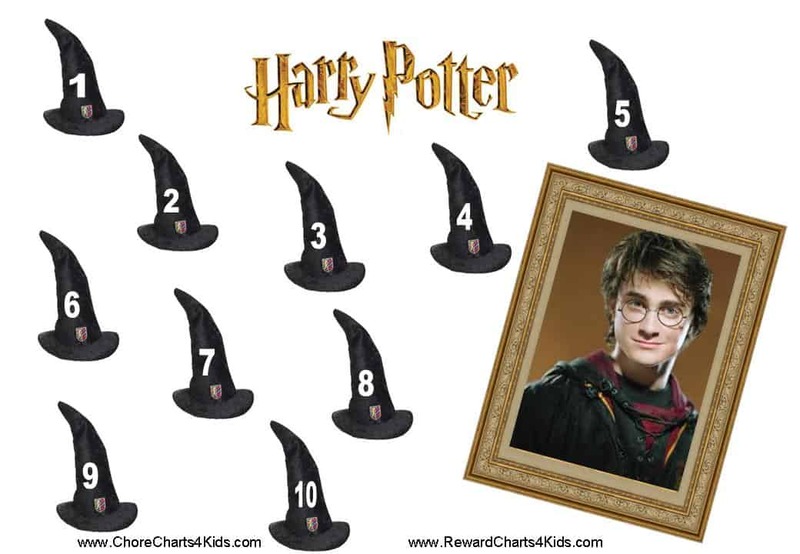 The following Harry Potter behavior charts / reward charts have either 10 or 20 steps. They are generic charts and have no title so they can be used for any purpose such as helping kids who wet their bed, getting children to do their homework on time or reward children for doing sport (for those who need the exercise but lack the motivation or will). 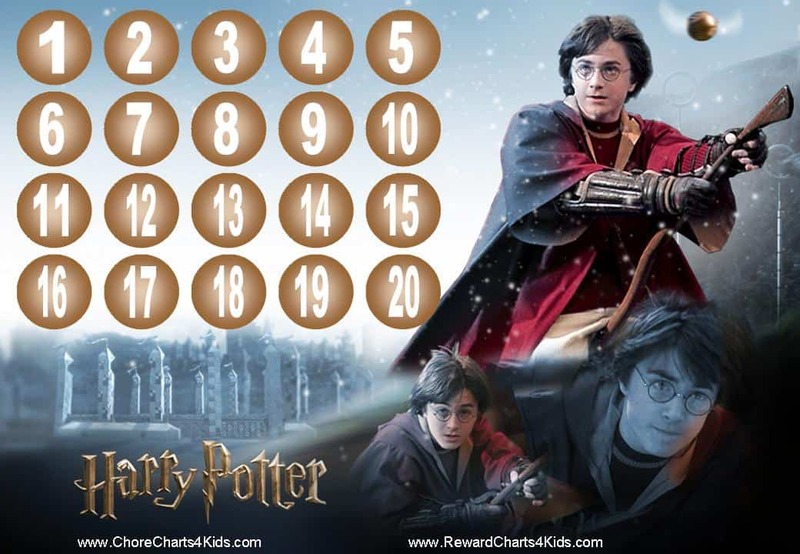 Choose the reward chart of your choice and print as many times as you like. I be very happy and my littel.boy have more “reward chart….behaviour..”theank tou.